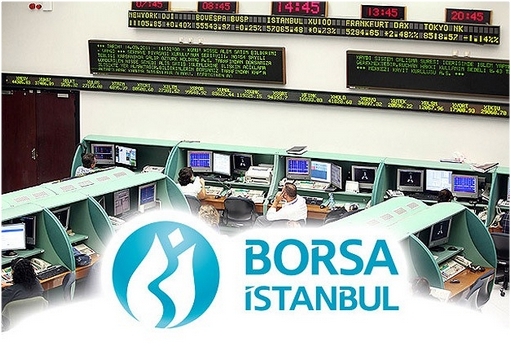 The Borsa Istanbul (abbreviated as BIST) is the sole exchange entity of Turkeycombining the former Istanbul Stock Exchange (ISE) (Turkish: İstanbul Menkul Kıymetler Borsası, IMKB), the Istanbul Gold Exchange (Turkish: İstanbul Altın Borsası, İAB) and the Derivatives Exchange of Turkey (Turkish: Vadeli İşlem Opsiyon Borsası, VOB) under one umbrella. It was established as an incorporated company with a founding capital of 423,234,000 (approx. US$240 million) on April 3, 2013, and began to operate on April 5, 2013. Its logo will be the traditional Ottoman mark for Istanbul, the tulip. Its slogan will be “worth investing”. Shareholders of Borsa Istanbul are: 49% Government of Turkey, 41% IMKB, 5% VOB, 4% IMKB members, 1% IMKB brokers and 0.3% IAB members. It is planned that all the Government-owned shares will be offered for sale. Among the executives of the nine-member board of directors, which is presided by former chairman of ISE İbrahim Turhan, are former deputy chairman of ISE Osman Akyüz, former head of VOB Işınsu Kestelli,Merrill Lynch Investment Bank General Manager Hüseyin Kelezoğlu and Chairman of Turkish Association of Capital Market Intermediary Institutions Attila Köksal. 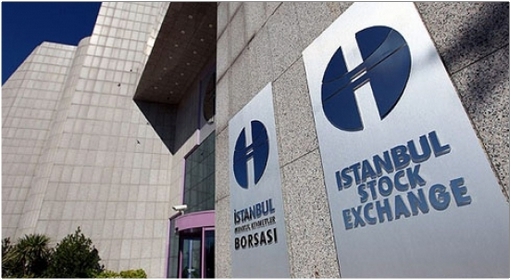 The Istanbul Stock Exchange (ISE) was the only corporation in Turkey for securities exchange established to provide trading inequities, bonds and bills, revenue-sharing certificates, private sector bonds, foreign securities and real estate certificates as well as international securities. The ISE was founded as an autonomous, professional organization in early 1986. It is situated in a modern building complex in the quarter of İstinye, on the European side of Istanbul, since May 15, 1995. The chairman and chief executive officer of the ISE is Dr. İbrahim Turhan, who was appointed by the government on January 1, 2012. ISE is home to 320 national companies. Trading hours are 09:30–12:30 for the first session and 14:00–17:30 for the second session, on workdays. All ISE members are incorporated banks and brokerage houses. ISE price indices are computed and published throughout the trading session while the return indices are calculated and published at the close of the session only. The indices are: ISE National-All Shares Index, ISE National-30, ISE National-50, ISE National-100, Sector and sub-sector indices, ISE Second National Market Index, ISE New Economy Market Index and ISE Investment Trusts Index. The ISE National-100 Index contains both the ISE National-50 and ISE National-30 Index and is used as a main indicator of the national market. The origin of an organized securities market in Turkey has its roots in the second half of the 19th century. The first securities market in the Ottoman Empire was established in 1866 under the name of “Dersaadet Securities Exchange” following the Crimean War. Dersaadet Exchange also created a medium for European investors who were seeking higher returns in the vast Ottoman markets. Following the proclamation of the Turkish Republic, a new law was enacted in 1929 to reorganize the fledgling capital markets under the new name of “Istanbul Securities and Foreign Exchange Bourse”. Soon, the Bourse became very active and contributed substantially to the funding requirements of new enterprises across the country. However, its success was clouded by a string of events, including the Great Depression of 1929 and the impending World War II abroad which had taken their toll in the just developing business world in Turkey. During the industrial drive of the subsequent decades, there was a continuous increase in the number and size of joint stock companies, which began to open up their equity to the public. Those mature shares faced a strong and growing demand from mostly individual investors and some institutional investors. The early phase of the 1980s saw a marked improvement in the Turkish capital markets, both in regard to the legislative framework and the institutions required to set the stage for sound capital movements. In 1981, the “Capital Market Law” was enacted. 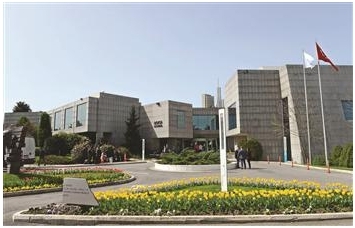 The next year, the main regulatory body responsible for the supervision and regulation of the Turkish securities market, the Capital Markets Board based in Ankara, was established. A new decree was issued in October 1983 foreseeing the setting up of securities exchanges in the country. In October 1984, the “Regulations for the Establishment and Functions of Securities Exchanges” was published in the Official Gazette. 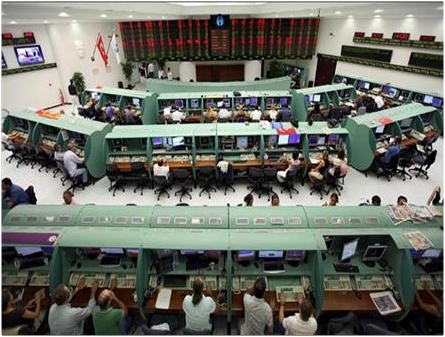 The regulations concerning operational procedures were approved in the parliament and the Istanbul Stock Exchange was formally inaugurated at the end of 1985.